After nearly 10 years of marriage, my husband and I decided it was time for a change. We’d lived in a Minneapolis high-rise apartment with spectacular views of the Mississippi River and downtown for seven years, and while we loved our apartment, we didn’t love the weather (for six months of the year anyway). And I didn’t love my high-stress job or the fact that our cost of living seemed to be getting higher. We are avid travelers who’ve been all over the U.S., to Alaska, Canada, Europe, and Asia. 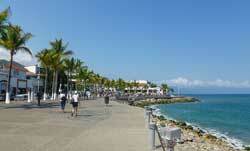 But a place we vacationed in many times was Puerto Vallarta, Mexico. We kept going back for the incredible weather, proximity to the U.S. (we can fly directly from Minneapolis in under four hours), and the very reasonable prices for accommodations, food, and the all-important cervezas so decided it’d be a good place to retire. Originally, we planned to retire to Mexico when I started collecting Social Security at age 62. But my stressful academic-advisor job was wearing on my physical and emotional health. With my husband, Judd, almost 70, his part-time job as a bouncer was also uncertain. So, we decided to take the plunge and leave shortly before my 61st birthday. 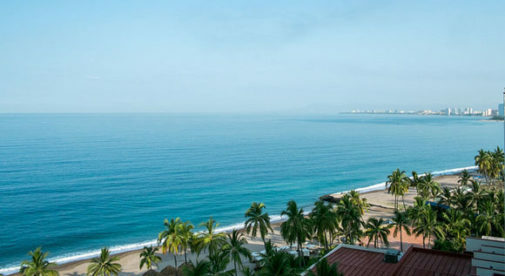 Enjoying the beautiful malecon and beaches of Puerto Vallarta are just some of the pleasures you’ll experience if you lived here. Now, we rent a condo about a 15-minute walk from the center of town and Puerto Vallarta’s Bay of Banderas for $800 a month. We have a spectacular mountain view from our rooftop, and get to enjoy the parade of butterflies and hummingbirds on our balcony. This spring we’re planning to move closer to town for the shopping convenience and proximity to the ocean and beautiful malecon. 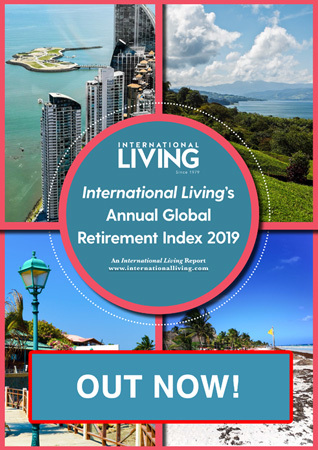 Our cost of living in Puerto Vallarta for things like groceries and eating out is about half what we paid in Minneapolis. We’ve even discovered that we can manage living on our Social Security. We spend about $10 a month on our Mexican cell phones and our rent includes water, internet, gas, and garbage removal. At the grocery store, we buy local brands which are cheaper than imported U.S. items and often nicer. We often pick up fresh fruit at the little fruit markets. A couple of bananas, a pineapple, and a jicama (a root vegetable you can eat with lime and salt, or you can add it to fruit salads) generally costs less than $2. We’d have been lucky to get one pineapple for that in Minneapolis. Another thing we love about Puerto Vallarta is the excellent food. There are plenty of upscale restaurants here, but we have eaten some of our best meals in the local eateries. Finding where the locals eat is always a good choice for tasty, inexpensive food. One of our favorite places is Travisio’s where you can get two big fish tacos for about $3 and a hamburger for the same price. Add a couple of beers and we get lunch for just over $10…including the tip. It’s easy to make friends here too…both with expats and the local people, who are genuinely warm and friendly. Even the teenagers greet me with a “Buenos dias, senora.” They’re also very patient with us and our broken Spanish. It’s almost impossible to not make friends here. Moving to Puerto Vallarta allowed me to quit my stressful job and retire early. Now I have time to indulge in my passions for writing and reading, and enjoy all that this beautiful beach town has to offer.